Ubud resorts offer a perfect place to spend your holiday in Ubud, Bali. Ubud as a part of Bali comes with some perfect enjoyments. Nature, tradition, culture, and local wisdom be the main attraction of tourists to come. Many places to enjoy in Ubud from the phenomenal panoramas of monkey forest to the amazing adventure in Ayung River. Other attraction like Campuhan ridge walk is also awesome. Further, to enjoy it all, you have to stay in a perfect resort. Let’s come to a question, is there any perfect resort in Ubud to stay in?. The answer is “YES” and it is not only one. 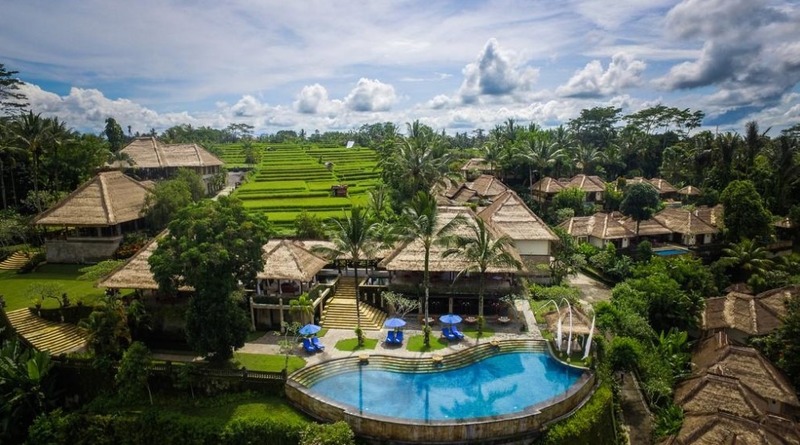 The following information gives you some perfects resort to stay in Ubud. Choose your best one and create your awesome combination of Ubud holiday. On the first list of your Ubud resorts is Kamandalu Ubud. It has a magnificent view of its location in Ubud hill. Around the resort, you can enjoy the view of the forest and rice field. The fresh air and the sound and the view of Petanu River make it appropriate to refresh your mind. Further, this accommodation offers your true touch of Bali. Each room has a nice facility to stay in. Almost all the resort is complete with private swimming pool. Flat Television and wifi connection are also provided. This accommodation is also complete with a sofa in the style of Bali. Sty in here and you will feel as if you are the native of Balinese. Furthermore, to support your activity in Ubud, it also offers to pick up service to your destination. Spa service is also ready to keep you relax and fresh. To satisfy your hunger, Asian and western food are ready for you. Enjoy the dishes while having a nice view of the slope of Ubud hill. Moreover, you can feel the sensation of exploring the surrounding area. The rice field, the forest, the slope, and the fresh air are loyal to be your best friends. What about if you stay in a palace? You will like a king and queen. Come to Payangan, around 13 km away from Ubud and you will find Padma Resort Ubud. This accommodation offers you a perfect place to stay in. A nice resort in the middle of a green forest and beautiful panoramas. Besides the view surrounding, the luxury facility makes you comfortable to stay longer. Each resort is large enough for your family. Complete with a nice facility such as Wi-Fi connection, Flat Television, and iPod Dock. To create more satisfaction of your enjoyment, the DVD player is also ready to entertain you. Then, look at your bathroom facility, it is clean and really well-taken care. Furthermore, the relaxation service is also provided for you. You can keep your body fit after your long activity with the massage service. Besides the massage, kids club is also ready to keep your children happy. Outdoor swimming makes it more perfect to stay in. Moreover, this accommodation is also close enough to some famous Ubud destinations. Tirta Empul Temple, Ceking Terrace, and Panglipuran Village are only a few minutes to visit. Let’s continue to the third list of your resorts to stay in Ubud. Puri Wulandari, a Boutique Resort & Spa is ready to welcome you in Ubud. Surrounded by tropical forest, rice field and river, it offers a perfect accommodation to stay in. Further, the facility is complete with personal swimming pool and large room. Entering the room you will be impressed with the nicest wooden furniture. Comfortable shower facility and lounge are ready to make you feel at home. Facing directly to the Ayung river, green forest and the park surrounding guarantee your eyes relaxation. Besides the comfort, you can go to the library for the other option of a holiday. joining yoga and cooking class is also available. Furthermore, this accommodation provides Italian dishes as the main menu. Take your meal and watch the magnificent view around and you will get fresh on your mind. If you want the other option of cuisine, the International cuisine is also ready to spoil you. moreover, it also offers to pick up service to make you easy exploring Ubud. The impressive one is this accommodation is close enough to some Ubud destination. 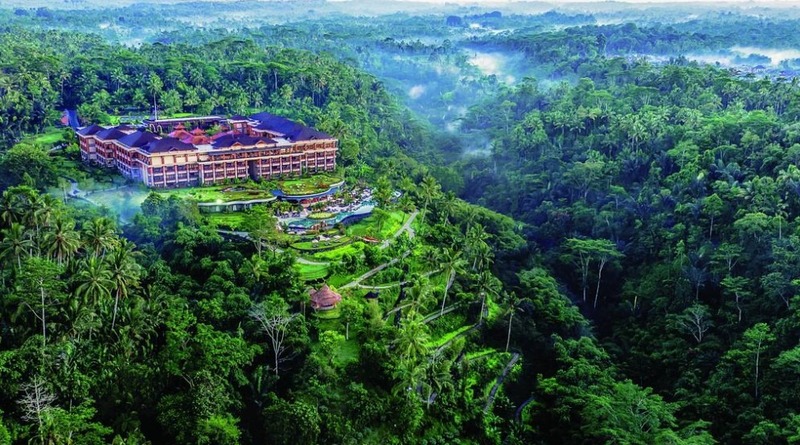 Botanic Garden Ubud, Monkey Forest, and Ubud Market are only a few minutes away. Another option of your accommodation to stay in is Kupu Kupu Barong Villas and Tree Spa by L’OCCITANE. This accommodation also offers a nice view of Ubud tropical forest. located on the fertile area of Ubud guarantees the fresh feeling to stay in. Further, don’t ask about the facility. As a recommended place to stay in, of course, it has anything you need. The room is complete with a Wi-Fi connection. Other entertainments like a TV and DVD player are ready for you. The large room and small private swimming pool guarantee your comfortable stay. Feel like at home but with a nicer perfect view of Tropical Forest and Ayung river. Besides the villa facility, there is also a restaurant to satisfy your need for delicious food. local and Indian food will attract your desire of eating delicious dishes. Then, if you want a fresh drink, don’t worry! It is ready for you. Furthermore, all of them can be enjoyed with the view of Ayung river with you. How perfect the feeling is and you have to stay there. At the last list but not the least, you will have The Chedi Club Tanah Gajah, Ubud. 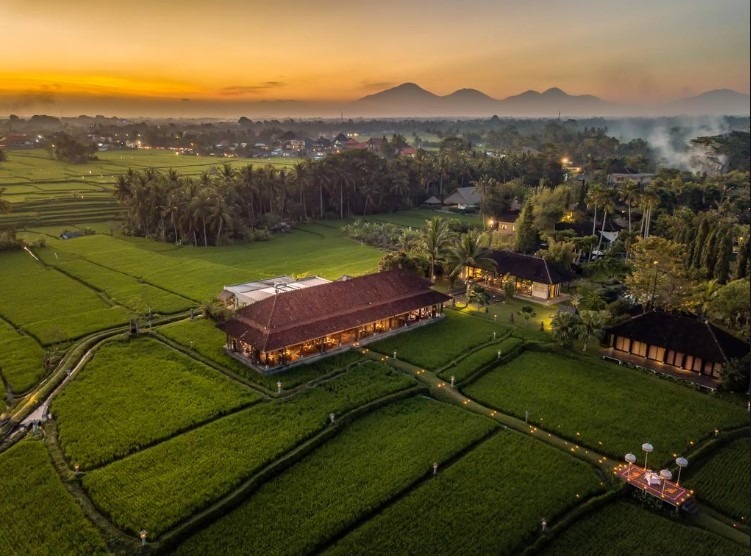 This Ubud accommodation offers a nice place in the middle of a nice rice field. It also offers the view of Mount Agung Volcano. Besides the view, the room has a personal balcony to relax. Some rooms are complete with a personal swimming pool. Further, some enjoyments facilities such as TV, DVD player, and wifi connection are also provided. Special Indonesian dishes are also ready to satisfy your hunger. Not only Indonesian food, the western food is also able to taste. The more impressing one the ingredients are taken from the resort garden. Furthermore, you can also join yoga for other relaxation option. If you want to learn how to cook Balinese dishes, just join the cooking class. Exploring the rice field surrounding with a friendly guide is also nice to do. Moreover, you can also visit some famous Ubud landmarks such as Monkey Forest and Ubud Market. It is only a few minutes away. Traveler, there are many resorts in Ubud which will serve you well. The list above is some recommendations for the best places to stay in Ubud. take one of them and you will get the nicest experience of Ubud holiday in Bali.